Revolution Gear sets are made from top quality 8620 Steel and are precision heat treated to OEM specifications, making for the best aftermarket gears available. All Revolution Ring and Pinion sets are backed by an industry leading 2 Year Warranty against defects. Revolution gears are also double, and in some cases triple lapped for flawless setup, smother running and longer life. With products that have been Street, Off Road and race proven for more than a decade, you can count on Revolution Gear and Axle products to be the best aftermarket parts available. 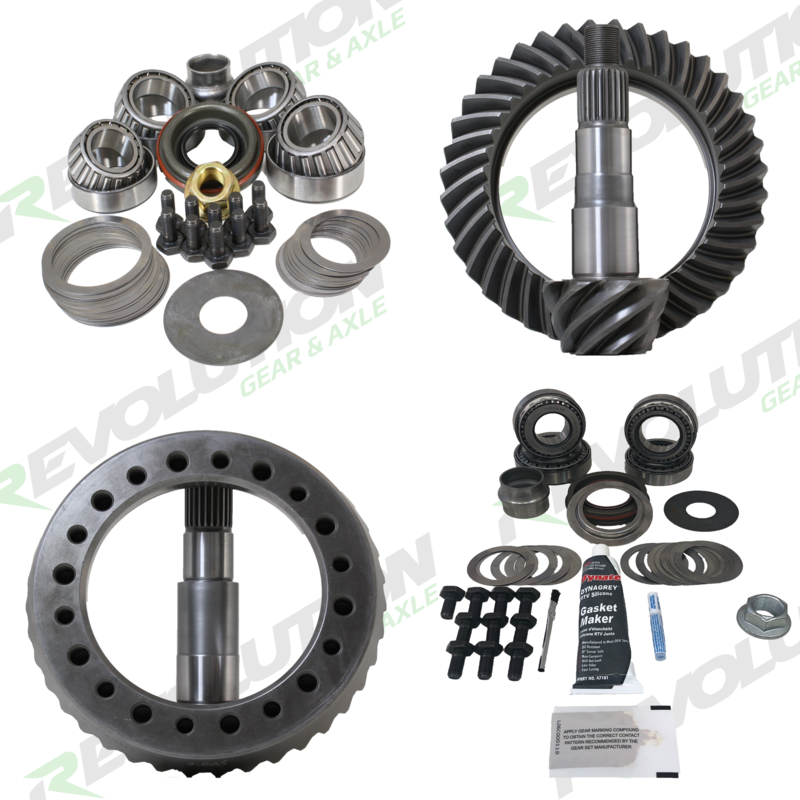 Revolution Gear and Axle Master Overhaul Kits come with All the necessary parts to re-Bearing your differential and install a new ring and pinion set. Revolution master Overhaul kits come with top quality Timken Bearings and National seals. Along with new Timken Bearings kits include Pinion seal, Pinion Shims, Carrier Shims, Pinion Nut, Gasket or Sealant, Preload shims or Crush sleeve, Ring gear bolts, Gear marking compound and Loctite for the ring gear bolts.